Chen Family Temple (Guangdong Folk Arts Museum): Built during the 14th to 19th year of Guangxu Reign of the Qing dynasty (1888-1893), Chen’s Lineage Hall is the largest, best preserved and most gorgeously decorated ancestral building in South China. All the architectural decorations in the building are of varied subjects and superb workmanship, including wood carving, brick carving, stone carving, pottery sculpture, lime sculpture, iron casting and painting. Shamian Island: The island covers an area of 0.3 km².The territory was divided into two concessions given to France and the United Kingdom by the Qing government in the 19th century. The island is a gazetted historical area that serves as a tranquil reminder of the colonial European period, with quiet pedestrian avenues flanked by trees and lined by historical buildings in various states of upkeep. Lychee Bay: Liwan district carries out overall environmental improvement works in 2009 and 2010 for Asian Games. After the sewage treatment of the Litchi Bay, the stream, and the neighboring buildings and streets restore their former historic features. 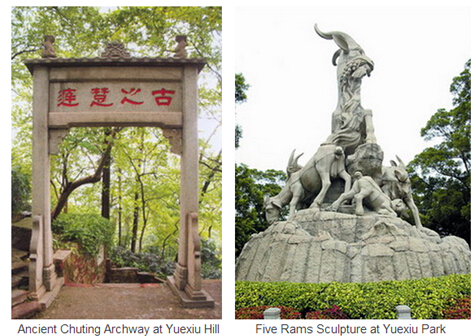 With a strong flavor of history, culture and folk customs, the Litchi Bay is therefore known as Xiguan Culture.